On Tuesday 27 June 2000 Marg and I (Denis, her husband) went to lunch at Kingston, A.C.T., with our friend Senator Brian Harradine and two of his staff. Little did we know that within six hours Marg would be in the casualty section of Calvary Hospital, after suffering three Grand Mal seizures in quick succession. For a while we thought it might be the late development of epilepsy but it now appears the seizures were caused by a gbm 4 brain tumour in the right temporal lobe. gbm 4 tumours (glioblastoma multiforme) are malignant and aggressive and the worst type you can have. It is a primary brain tumour and therefore not a cancer but its treatment follows a similar course to most cancers, except that it is locked away in the brain and is difficult to access. During surgery some of the tumour was deliberately left in Marg's brain because it was near an important blood vessel and to remove it might have produced a stroke. A number of our friends and relatives have access to the Internet so we commenced a diary of Marg's progress, in order that they might be kept informed of developments. The diary has been continued, following Marg's death on 19 June 2001. Perhaps this diary will also be useful to others who have stumbled into a similar dreadful roller-coaster ride, not knowing what the next day will bring. While Marg has been ill she has been looking through some of her papers. One of those documents is a talk that she first gave in Canberra in 1988 (click here to go to it). She has checked through it and made some minor amendments. Before her surgery she asked me to upload it to this diary page. I hope it will convey some understanding of what I believe is in her mind as she travels this journey. 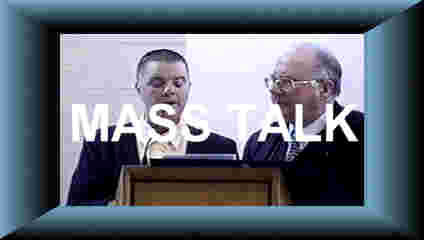 Many people have commented that they obtained a lot from this talk. This link will take you to a transcript of the discussion on 22 August between the Neurosurgeon, Marg, Denis, and Kitty, when he informed us of the results of the pathology of the tumour, following the operation. People with similar types of tumour should note that we are following a conventional, conservative, approach, with which we are comfortable. What has been said by the Neurosurgeon in this transcript might not apply to you. Marg visited Canberra Hospital on Monday 11 September to be fitted for a mask (or 'shell', as they call it) which she will wear during the radio therapy treatment commencing on 19 September. Lynne from Melbourne kindly sent us three photos taken recently while her husband Bob was being fitted for his mask at Alfred Hospital in Melbourne, Australia. Click here to view photos. 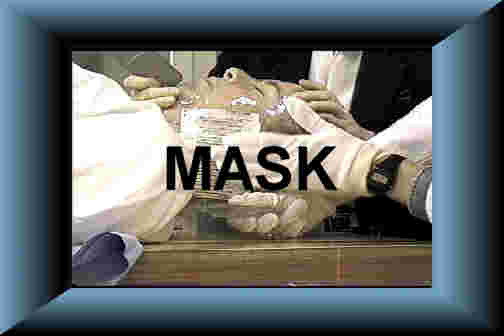 Hopefully, this will remove some of the mystique of the procedure for those who have yet to be fitted for their mask. On Tuesday 12 September Marg had a planning session at Canberra Hospital where she had her mask fitted. Click here to view photos. Here is a short impression of our seven weeks of visits to the Radiation Oncology unit. Here is a link to an overview talk on radiation therapy by Professor Yuile of Sydney. This is a donwloadable PDF file of a talk in June 2004 by A/Prof Michael Barton about radiation therapy and brain tumours. This is a link to the text of a posting to the Braintmr e-mail list from a woman in America whose husband had a gbm tumour. In it she describes how she has tried to cope with this challenge. Other couples might find this posting of help and comfort. I did. Here is a link to a posting from Lonna C in Alberta, Canada, commenting on the difficult question of what to tell a patient about their prognosis. Marg and I shared Lonna's approach. Here is a link to a discussion of the ethics surrounding this issue. Here is a link to a message from Natalie Hitchmough in Victoria, British Columbia, Canada, which Thomas Krassmann in Germany has uploaded to his website. Natalie is a four-year gbm survivor and her message is quite inspirational (go to Thomas's entry for 21 November). This is a link to a series of e-mails from Penny Phillips of Sydney, Australia, whose late husband Brian had a journey of ups and downs with his gbm iv. Penny has graciously agreed to their reproduction so others can know as much as possible about this disease. It is called "The Roller-Coaster Ride". Why call this a "journey"? 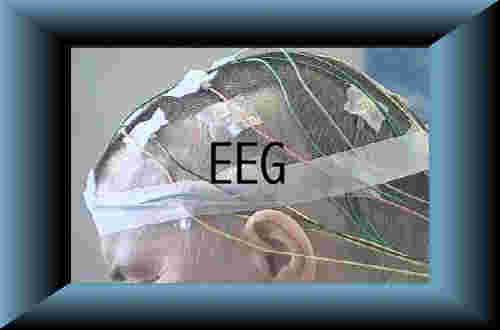 This is a link to a very wise posting by Beth Risley to the US Braintmr list. It describes the different kinds of journeys that one can take. Thanks to Beth for permission to reproduce her posting. This is a link to a very thoughtful e-mail by Denise Turek, mother of 27 year old Jen Turek, who passed away during 2001. In this e-mail (which has been reproduced with permission) Denise gives an overview of the last few months and days with Jen. Her daughter battled a brain tumour for 12 years but didn't let it stop her running cross-country for her College team. What is dignity? This is a link to a posting on the Temozolomide list from a woman who writes about the need for a changed attitude by society towards those with a disability. This is a link to a posting by a young mother (Alicia Wagner) of two children (2 years old and six months) whose husband (29) has reached the twelve month stage of their journey with a brain tumour. It is called "Our story at one year". It has been reproduced with permission. This is a link to a message sent by a husband and father who lost his wife to a gbm, to the mother of a young daughter who is deteriorating rapidly from a brain stem glioma.The posting has been reproduced with permission and the identifying names have been removed. It contains some very wise and useful thoughts. This is a link to the story of 10 year old Alicia of the United Kingdom who was diagnosed with a JPA brain tumour at one year of age. Her mother Faye McCluckie writes: "... we hope that perhaps for some people we can make a difference in telling our story by offering education and hope from our personal experience. Had we been able to read of a story like ours back in l992 our lives would have been made much easier. We hope we can do that for somebody else." Thank you Faye for giving permission for Alicia's story to be uploaded. This is a link to a comprehensive outline written by Dawn Shotton of Northumberland in the UK, of the brain tumour journey undertaken by her late husband Joe who had a gbm iv. This is a link to a posting by Jan, mother of 25 YO Dan from Canada, who was diagnosed with a aa3 brain tumour and has recently experienced increased deficits. Reproduced with permission. This is Liz Walton's story. Liz was diagnosed in 2001 with an AA2. She writes in June 2004 about her approach to life with a brain tumour. Reproduced with permission. Michelle Meyer writes in December 2005 to another spouse whose husband has a brain tumour. She offers some wise thoughts. Reproduced with permission. This is an excerpt from a book by Eugene O'Kelly, former US head of the accounting firm KPMG, who died from a brain tumour in 2005. In the book he describes how he tried to "close the circle" and unwind his relationships. A 13 YO girl (Heather) writes about her father's brain tumour and the effect it has on her. Uploaded with permission. This section contains links to websites and stories of other people who have/had a glioblastoma multiforme (gbm) tumour. Several sites also contain further links to information about brain tumours. Natasha's story. Pat Anderson (maintained by her daughters), David M Bailey, Lesley Baldauf, Art Bittner (maintained by his sister Cheryl), Andrew Brown, Cheryl Broyles, Carrie Burchardt-Pharr, Alex Cooper, James Crofts, Ben Davis, Paul Duane Davis (diary maintained by his wife Renette), Darryl Davoren, Sally De Angelo, Steve DePesa, Sabrina Di Giandomenico, Roy Dimm, Cmdr. Bill Donaldson, Danielle Drumke, June Mitchell Bingham Esselstyn, Ron Famiglietti, Sheri Fearis, Gail Fenter (click on the 'update' links), Joy Ferguson, Nadja Ferraz (maintained by her son Ron Ferraz), Donna Ferrer, Dawn Galley (maintained by her son Scott Mitchell), Karin Goeke (in German), Drew Goodman, Jonathan Gordon, Ron Graham, Margaret Gray (Dennis Argall's wife), Clyde Green, Butch Hauke (maintained by his daughter Sheri), Matt Hofstrom, Bob Hurt, Marvin Karp, Richard Lee Karpf, , John Kenny, Gerry Kimes (who has a gliomatosis cerebri brain tumour), Jerry Kline, Claudia Kohl, Jay Koontz, Ute and Thomas Krassmann, Phil Loux, John Lawrence Lyons, Robert (Scott) McLean, Mike Messenger, Dave Meyer, Jamey Lynn Miller, (maintained by her brother Jason Thiel), Tom MIller, Beverly Mullins, Kyla Nagel, Ivan Noble, Michael Norton, PeterD (Nine year gbm survivor), Laurie Prowse, Dennis Pruitt, Adele Puckrin, Quek Chou King, John Reay, Ellie Savage, David Monroe Schmidt (maintained by his niece Marie), Michael Silo, Ann Simon (partner of Brian Bulkowski), Mark Sorensen, Jane Symons, James Taylor, Br Brian Thomas, Alan Threlfall, Ray Tillman, Carol Treadwell (type in treadwell for the patient's ID and carol for the password) Romy Vuichard-Moser, Madison (Maddie) Winch, Young Adults Surviving Glioblastoma (YASG - contains short biographies of young people facing glioblastoma brain tumours). This is the web-diary for 22 YO Chrissy Pawlowski who had a rare gliomatosis cerebri brain tumour. This is a link to the website for Tamsin Colley who has a JPA. This is a link to the website for Jazmin Wren of Melbourne who passed away in 1998 aged 3 years. Jazmin had a medulloblastoma (PNET) brain tumour. This is a link to the website for Megan Miller of Melbourne who was diagnosed on Feb 20 2001at two months of age as having an immature teratoma brain tumour. Here is a link to the webpage for Aidan, a six-year old from Western Australia, who has a medulloblastoma brain tumour. This is a link to a webpage for eight-year old Matthew Passarella who has a pilocytic astrocytoma brain tumour. This is a link to a website for seven-year old Kessia McConnell of Narrabundah, A.C.T. Kessia had a brain stem glioma. This is a link to the memorial website for eight-year old Faith Emily Altbush who had a diffuse pontinme glioma. It contains many useful resources and links, particularly for childhood brainstem gliomas. Melissa Matthews of the USA has a juvenile pilocytic astrocytoma. This is the website for 12 YO Terri from Victoria, who has a AAIII tumour on the spinal cord and has had more than her fair share of surgery, radiation therapy and chemotherapy but is doing "very well". This is a link to the website for five-year old Alannah McKay from the US who had a gbm. This is a link to the website for Kate Leah Downing of Perth who had a brain stem glioma. This is a link to the website for Dani-Ella Rose Jack of Queensland who had a Pleomorphic Xanthoastrocytoma (PXA) brain tumour which is a WHO Grade II Astrocytoma. If you wish to create a free webpage similar to "Marg's Journey" visit the CaringBridge website and follow the instructions. Their service is free for patients, carers, and relatives. Here is a link to a separate webpage which identifies the web diary entry date in "Marg's Journey" for more than 700 topics mentioned in the entries between 27 June 2000 and 24 August 2001 e.g. Skull - numbness, Fatigue, Vomiting etc. This is a conscise version of the strictly medical information (medications, scan results, blood test results, symptoms, etc) contained in the web-diary, plus other information not uploaded at the time. It is 55 Kbs and prints to 19 pages. For authoritative and easily understood information on specific (mainly adult) brain tumours, including their diagnosis, treatment and prognosis, visit the eMedicine Neurooncology webpage which has links to essays on these topics: Benign Skull Tumors; Brainstem Gliomas; CNS Melanoma; Craniopharyngioma; Ependymoma; Glioblastoma Multiforme; Leptomeningeal Carcinomatosis; Low-Grade Astrocytoma; Meningioma; Metastatic Disease to the Brain; Metastatic Disease to the Spine and Related Structures; Oligodendroglioma; Paraneoplastic Autonomic Neuropathy; Paraneoplastic Cerebellar Degeneration; Paraneoplastic Encephalomyelitis; Pituitary Tumors; Primary CNS Lymphoma; Primary Malignant Skull Tumors; Primitive Neuroectodermal Tumors of the Central Nervous System; Radiation Necrosis. The WHO (World Health Organisation) 2000 classification of Brain (CNS) Tumours. Some information about a gliomatosis cerebri brain tumour. 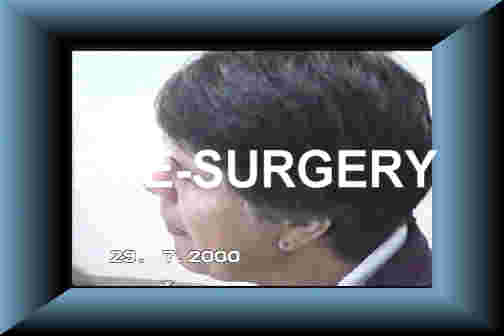 One of the best collections of BT information links is maintained by Jim Kenzig and is hosted on Al Musella's VirtualTrials website which contains an on-line search facility with links to numerous brain tumour websites. 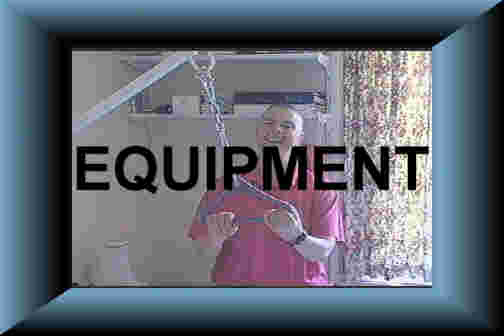 This is a link to T.H.E. Brain Trust which hosts the US-based BRAINTMR discussion List and other groups. The 8th Edition of the ABTA publication "A Primer of Brain Tumours" is described as a 'booklet' however it is more like a book and is an invaluable resource for those who have been thrown into this world. It can be read on-line or printed. There are also several downloadable brochures and ten fact sheets about brain tumours at the US National Brain Tumour Foundation website. Click on the link and go to "Patient info", then "Publications". This is a link to a useful UK-based publication. This is a link to a downloadable booklet "Brain and Spinal Tumours - Hope Through Research", published by the US National Institute of Neurological Disorders and Stroke. Miscellaneous subjects: Seven experiences of Dexamethasone (Decadron) reduction (Including tapering when taking Temozolomide). 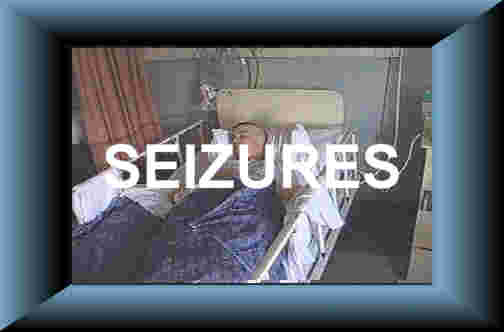 Seizure types. Temodar (manufacturer's website). Temozolomide - different regimens; fatigue. Cancer e-mail discussion groups. Pub Med search page (medical articles). Greenfield filter company page (used with DVTs). Carbamazepine (Tegretol) information. Forgetfulness and confusion by brain tumour patients. . General Phenytoin (Dilantin) information. A 10 page .pdf document from Parke-Davis, the maufacturers of Dilantin. Indications of Dilantin toxicity. A detailed and rather academic statement on Deep Vein Thrombosis (DVT) and Pulmonary Embolism (PE) identification and treatment. Role of Thalidomide. Tumours of the Nervous System (academic descriptions). Temozolomide e-mail discussion group. BT bereavement groups. Surviving tragic loss. "When Love is the Only Medicine" (Dr R A Fink). "Crossing the Creek" article. Seeking Peace: When a loved one with a brain tumour enters the final stage of the journey. (End-stages information). The (US) Braintmr e-mail discussion list (900 members). Fifty Helps for Hospital or Home (for patients with speech impairment). "Shadow In Tiger Country" on-line diary. "The Metastaic Life" by Lisa Pierot (excellent series of columns about her metastatic cancer and life in general). "My Journey - Living with a Brain Tumour" (the very positive and readable web diary of Sandra Beardsley who had an astrocytoma). Facing Death: An Essay on Susan" (about a woman who died from metastatic breast cancer - an unusual story of positive denial). "Love Lessons" (a short essay written by a daughter about her mother's brain tumour). Desiderada electronic greeting card. Australian Cancer Resources Directory. Central Brain Tumour Registry of the US (statistical studies). Brain tumour book list (short descriptions and ISBN references). Marg's liver function test results Feb-May 2001. Laboratory (blood) test readings. Another website with explanations of specific blood tests. Effect of chemotherapy on blood counts: thrombocytopenia (low platelets), neutropenia (low white blood cells), anaemia (decreased red blood cells). The difference between a MRI and a CT scan. A technical explanation of MRIs. Explanation of an MR Spectroscopy. What is PET (Positron Emission Tomgraphy)? Links to photos of a PET scan - Photo A; Photo B. A comprehensive article on radiation necrosis. 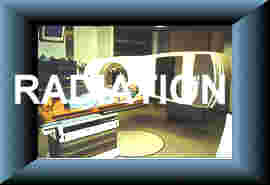 A link to a useful but not updated website dealing with radiation therapy. A drawing of the various sections of the brain. Another brain map showing brain functions related to sections. Transcript of a discussion with a bereavement counsellor about new theories of the bereavement process. A national brain tumour organisation for Australia? Tumours of the central nervous system by Dimitri P. Aoamanolis M.D. This chapter in an on-line text gives a good outline of the different types of brain tumours and while it is intended for medical students it is not incomprehensible. "Learning to deal with this business called life", an article by business journalist Mitchell Schnurman when he is told that he has a lesion in his brain. This is a review of the book "A Kick to the Head" by Queenslander Rhylle Winn, who has a oligodendroglioma brain tumour. A review of Ben Williams' book "Surviving 'Terminal' Cancer - Clinical trials, drug cocktails & other treatments your oncologist won't tell you about". A review of the book "Can I Take my Panda Daddy", written by Greg Crooks about the journey of his four year old son Sean. An essay by Ben Williams on "Treatment Options for Glioblastoma and other Gliomas". 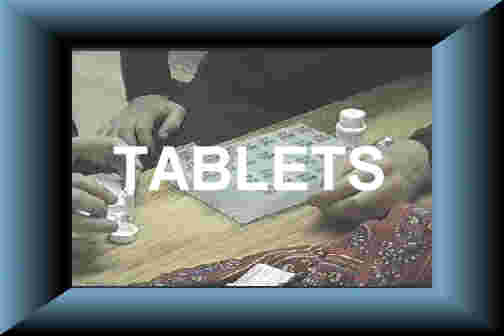 Therapy Methods That Are Useful in Assisting Patients with Aphasia. The "Virtual" Medical Centre, Brain and Neuro Centre. Dr Burzynski's controversial antineoplaston treatment - pros and cons. Brain tumours and pregnancy. The website for Epilepsy Ontario in Canada (information about seizures and treatment). Adjunctive Nutritional and Botanical Treatment for Brain Cancer: Best Case Series (pdf document). 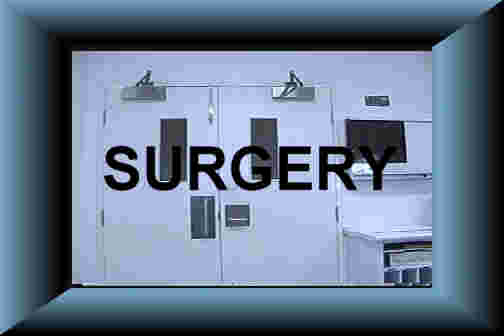 Twenty images from a televised segment of a neurosurgeon performing a craniotomy on a brain tumour patient. The Corporate Angel Network of Australia arranges free air travel throughout Australia for cancer patients and carers. The blood brain barrier. A discussion about the moral issues involved in the withdrawal of dexamethasone (Decadron) in the end stages. A poem called "The Fight" by Jonathan Gordon, who had a brain tumour. A poem called "Strength". This is a link to an excerpt from a book "The Goldfish Went on Vacation: A Memoir of Loss" by Patty Dann, whose husband had a GBM. Click on the blue highlighted date range below to go to Marg's Journey entries for each period. Click on the specific buttons below to go to the diary section dealing with that subject.